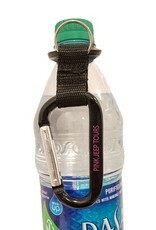 Carabiner with bottle holder. Water bottles can be a real nuisance when you have to carry them around but you can’t go without water on your outdoor adventures. Having a bottle holder to securely attach bottles to belts and bags is priceless. 2.5 inch black aluminum carabiner. Overall length approximately 6 inches. 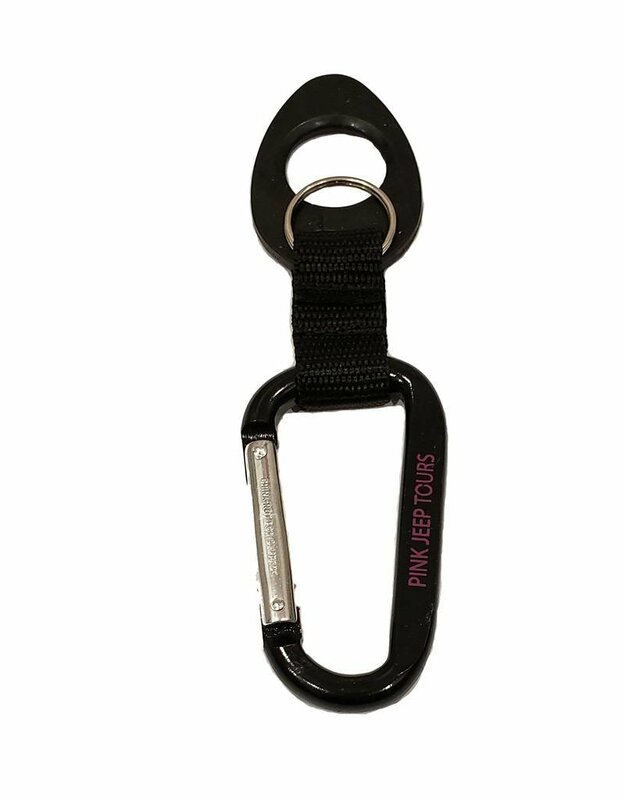 Carabiner is not suitable for climbing adventures.